Edge of Chaos is an installation inspired by the ‘science of complexity’ and a collaboration between artists Vasilija Abramovic and Ruairi Glynn from the Interactive Architecture Lab, part of the Bartlett School of Architecture at University College London and scientist Bas Overvelde of the AMOLF/Studio Overvelde, all working at the point where science meets art, design and architecture. Scientists and mathematician originally came across the theory called ‘Edge of Chaos’ when studying the behaviour of avalanches and the crystallization of liquids. This small ‘space’, they say displays complex behaviours that have both organisation and instability – creating a continuous flux that science now hypothesises drives the engine of life itself. The Edge of Chaos installation, a competition-winning entry for the international touring exhibition Capitaine Futur, which opened in Paris at La Gaîté Lyrique  in April this year invited visitors to experience the balancing point between highly ordered and turbulent systems, composed of three features. 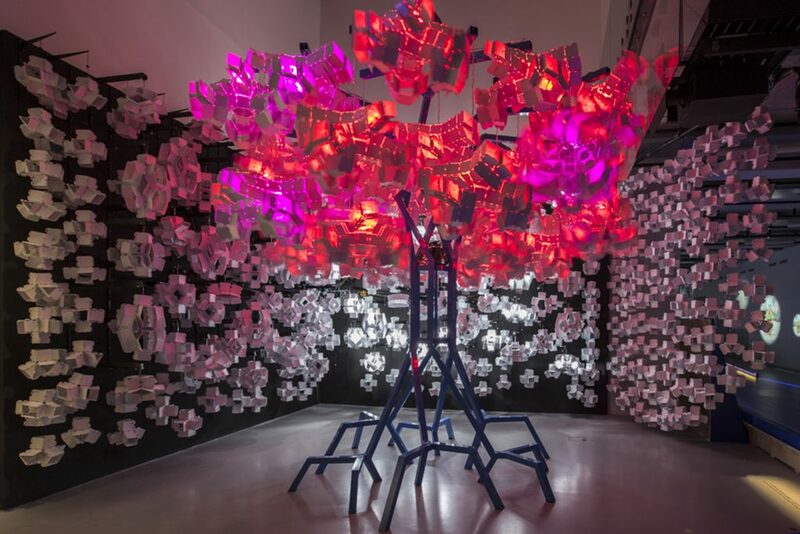 At the centre is a robotic tree representing ‘Life’. It is surrounded by an inert ‘Cloud’ representing the vast, unorganised matter of an entropic universe – and finally an interactive surface representing the ‘Edge of Chaos’. Have you ever given thought to how window design might be improved and evolved to become not only a way of allowing light in and to see you, but also an information source? 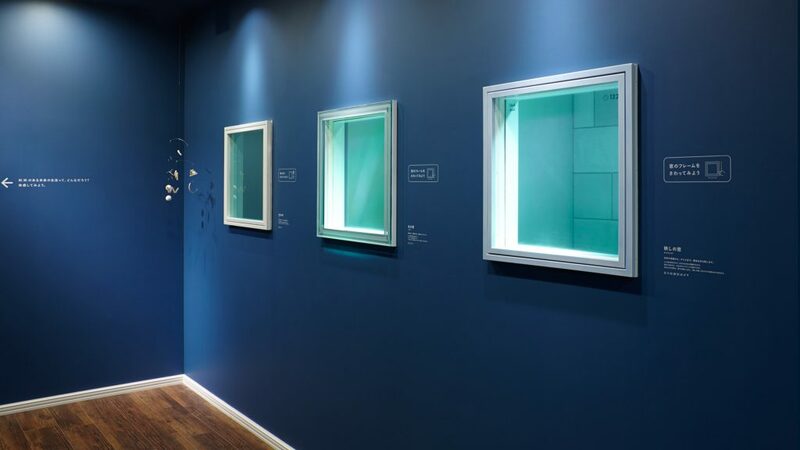 Tokyo design company PARTY is doing just that in collaboration with YKK AP – a Japanese window specialist to create the Future Window Project that is exploring concept models for the window of the future. One of its ground-breaking designs in the M.W – MODULE WINDOW or MULTI-WINDOW. The window frame has swappable components that allow users to add parts such as a camera or light, wind, pressure or other sensors depending on the user’s lifestyle. All can be controlled via a touch interface, smartphone or gestures. The window display reflects more than scenery: It can report on the weather, pollen, and even TV. It also controls sunlight and interior lighting, while at the same time ‘reading’ the air and changing it automatically – allowing ventilation and/or temperature adjustments. Welcome to the window of the future! Edwin van der Heide is an artist, composer and researcher in the field of sound, space and interaction, often placing his audience in the middle of the work and challenging them to actively explore, interact and relate themselves to the artwork. 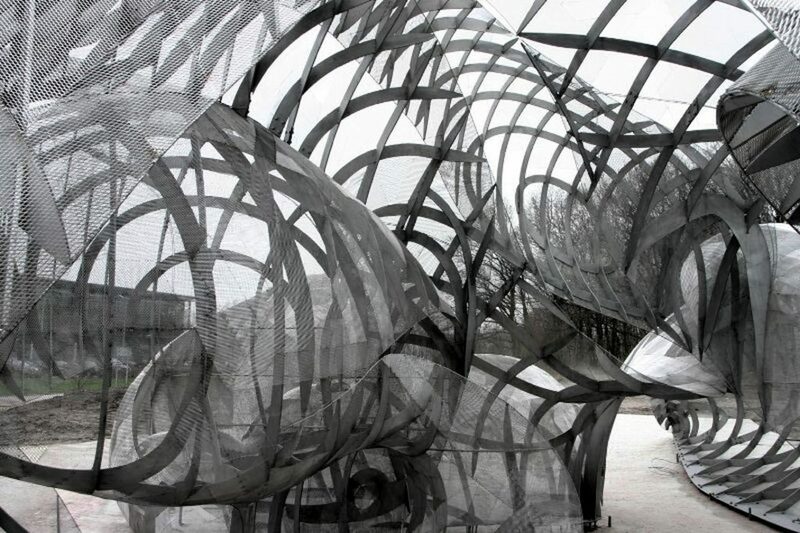 His Son-O-house in Eindhoven Science Park in Holland, is “a house where sounds live” — an architectural environment and an interactive sound installation in one that continuously generates new sound patterns that are activated by sensors picking up the movements of visitors. The structure is comprised of complex lattice-work developed from an original model made from a carefully choreographed set of movements of bodies, limbs and hands that were inscribed on paper bands as cuts (an uncut area corresponds with bodily movement, a first cut through the middle corresponds with limbs, finer cuts correspond with hands and feet). The pre-informed paper bands were then stapled together, which created the curves of the structure. This model was then translated into a computer model and dynamic sound modeling before being the actual installation was constructed. Twenty-three sensors are spread around the building to detect the movements of the visitors from one location to another. They generate statistical information used to created distribution maps of the activity of the visitors throughout the building. This information is used to influence the sound. The more activity on one location the faster the sounds transform in that region. Also, the system tries to attract the visitors to visit opposite locations or ‘push’ them away from the current location. The goal is to have a continuous developing environment that challenges the visitors to come back, perceive the new musical state and then relate and interact themselves with it again.